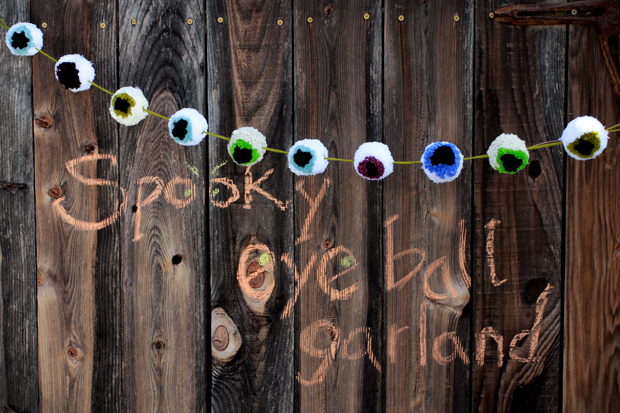 Pompom eyeballs are such a fun way to craft up Halloween cheer with youngsters. Check out my new eHow tutorial for the easy-to-follow steps, PLUS several additional pompom eyeball project ideas! Happy October, friends! Kids Craft: Pom-Pom Turkeys Spooky Tic-Tac-Toe Game and Pumpkin Pouch Monster FINGER Puppets for Halloween Dia De Los Muertos (and Halloween) Inspired Skull Spoons Catching up! DIY & Photo Ideas for DINOVEMBER!